Formed on Sept. 1, 1984 by co-founders Tom Nolz & Eddie Scortly. Tom Medcraft was the last to join in November 1984. From November 1984, Insaniac started playing live with "Mission to Hell" along with cover material. From July to September they recorded their first Demo "Screams from the Asylum" which they released on Jan. 31, 1986. 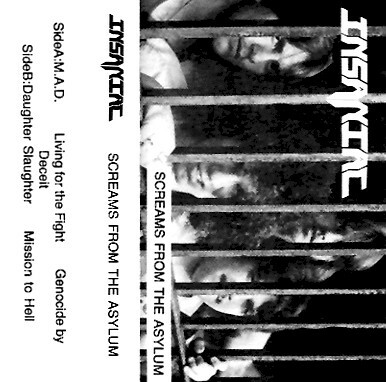 Their "Screams from the Asylum"-demo was sold-out by the beginning of 1987, but there was still demand for more material so they made some live tapes available at requests. Later they released a 8-song Live tape called "At Large". 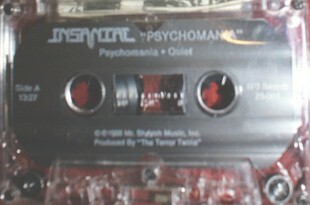 In 1987 their second demo "Psychomania" is released.